Today's project is one I did for the Frosted Designs design team. I am part of the Sketch Along Tuesday team and I love working with sketches. It's like the first part of every project is already done for me. Once I saw this week's sketch, I knew it would be a simple card to put together, but would it would still look like it took a lot of time to create. I just layered and layered and inked and inked until the I got the look I wanted. 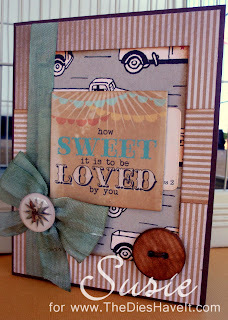 Adding some seam binding with a vintage button and then a chipboard button finished it for me. I will be back tomorrow to show you a project I completed at a retreat this past weekend. Love the layers and the ink, Susie. 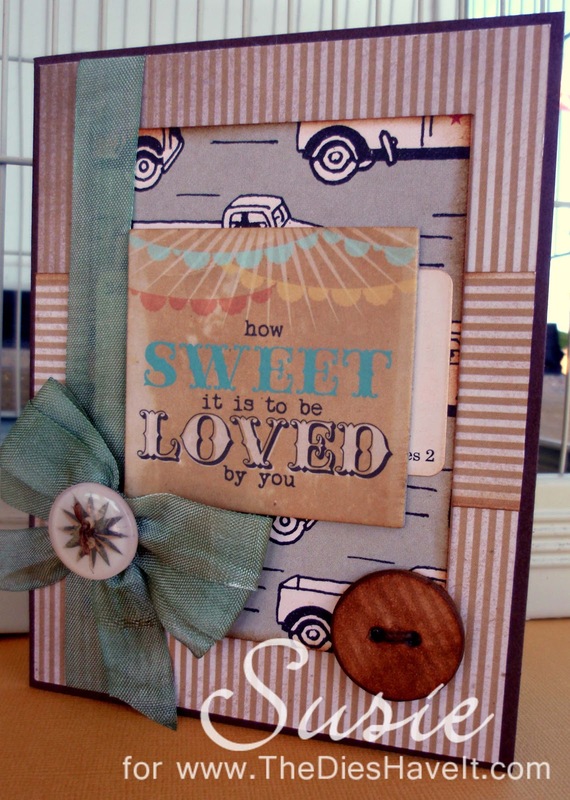 Great vintage feel to this card!